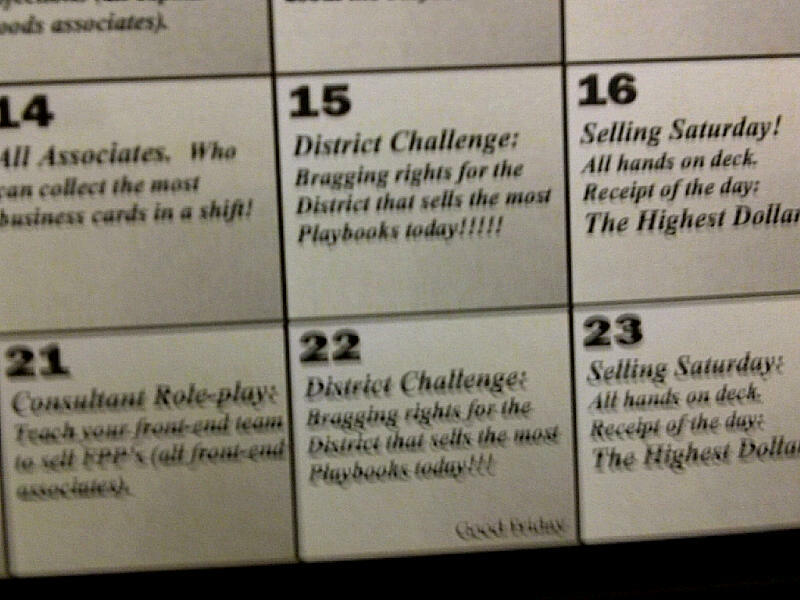 Here's an interesting photo we received on the good 'ole CrackBerry tip line this week.... coming from Staples Canada, it seems the district managers are planning to hold a challenge on April 15th for bragging rights for the District that sells the most PlayBooks that day. And it looks like they'll follow-up the challenge the following Friday, April 22nd, as well (I guess assuming they don't sell out the week before and still have inventory on the 22nd). I take this to mean two things.... a) that this means the BlackBerry PlayBook will be on sale in Canada on or before April 15th, and b) whatever district Winnipeg is in will probably win as I'll be there picking them up by the shopping cart load (kinda want to mount a couple into the headrests of my vehicle!). At this point, it would be real nice if Research In Motion would just give us some official release dates and pricing, so we can quit with the unofficial rumors and move onto making plans to buy one on launch day. If it falls on a weekday, who's calling in sick for work?